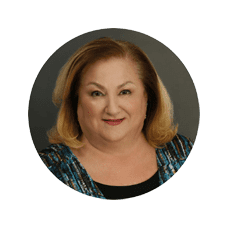 MCS co-founder Shelley Segal is a Medicare Advantage industry veteran whose experience in Medicare program leadership and day-to-day operations provides our clients with an expert resource for strategic planning, program development, compliance management and business process engineering. Prior to co-founding Medicare Compliance Solutions, Shelley was with a Medicare consulting firm for 10 years, where she served as Chief Operations Officer. Prior to that, she worked at several health plans for over 15 years and was the Compliance Director for SCAN Health Plan, an HMO serving over 100,000 Medicare beneficiaries in the Southern California market. Shelley also served as the National Director of Medicare Compliance and Vice President for Medicare Operations at Health Net, and held numerous positions with Medicare programs at Foundation Health. Medicare Advantage and Part D day-to-day operational management (Call center, appeals, grievances, enrollment, sales/marketing). Interpretation and implementation of Medicare regulations. Creation and implementation of compliance and functional area training programs. Implementation of operational best practices across multi-site organizations. Guidance prior to, during and after the CMS performance audit. Project management and facilitation of interdisciplinary project teams.